Charlie Daalder has managed the legal affairs of General Motors’ operations across the Middle East and Africa since 2016. 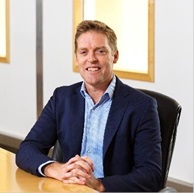 He has built extensive experience over 20 years in private practice and in-house, across four continents providing legal advice and shaping business strategy in complex legal environments in Africa, Russia, China, the UK, Uzbekistan and Asia Pacific. He has a proven track record of partnering with the business to design and implement creative, commercial and strategic solutions in high pressure, dynamic and diverse environments, and experience across the various legal disciplines including governance and compliance, IP, contracts, dispute resolution, HR/IR issues, M&A, JVs and restructurings, cybercrime and building high performing legal teams.